Wi-Fi- 2.4 GHz/5 GHz, Wi-Fi Hotspot. Memory: RAM- 6 GB . Camera: Rear- f/1.8 + f/2.4 aperture, 12 MP + 5 MP (Image) Dual, 8 MP (Video), 30 frames-per-second. Front- f/2 aperture, 25 MP (Image), 2 MP (Video), 30 frames-per-second . Scene modes (Rear): 4K Video Recording & Playback, Ultra HD, Professional，Slow，Time-Lapse Photography，Camera Filter，Live，Bokeh，HDR/AI Face Beaut/Panorama， Palm capture，Gender detection，Retina Flash，AR Stickers，AI Face Shaping，Time Watermark，AI Selfie Lighting，AI Scene Recognition，Google Lens and AI Portrait Framing . Battery: 3400 mAh Li-Polymer, Non-removable. Fast Charging with Dual engine capability. 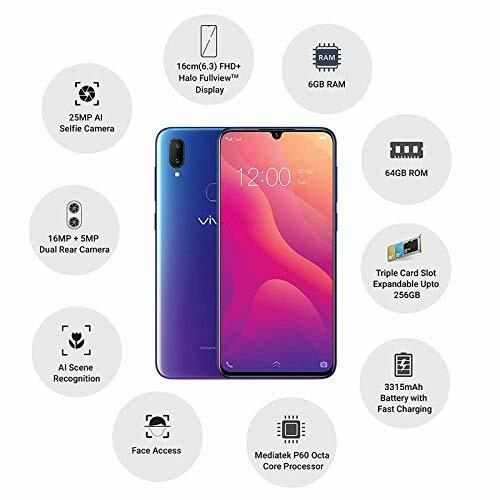 Vivo V11 Pro mobile price in India starts from Rs. 25,990 and was launched in India in September 2018. It is available for purchase at Amazon India store and Vivo India online store. Regarding Vivo V11 Pro specifications, the smartphone sports a 6.41 inch screen with Super AMOLED Full HD+ display. It equips 1080 x 2340 pixels resolution with 20:9 aspect ratio. Furthermore, Vivo V11 Pro equips with 402 ppi pixel density and the screen-to-body ratio is 85 %. Next, the Qualcomm Snapdragon 660 MSM8976 Plus AIE chipset with octa-core processor clocked at 2.2 GHz drives the Vivo V11 Pro. Besides, the Qualcomm Adreno 512 GPU pushes graphics crunching in the smartphone. While Vivo V11 Pro supports 6 GB RAM, it equips 64 GB internal storage. The internal memory is further expandable upto 256 GB via micro-SD card. 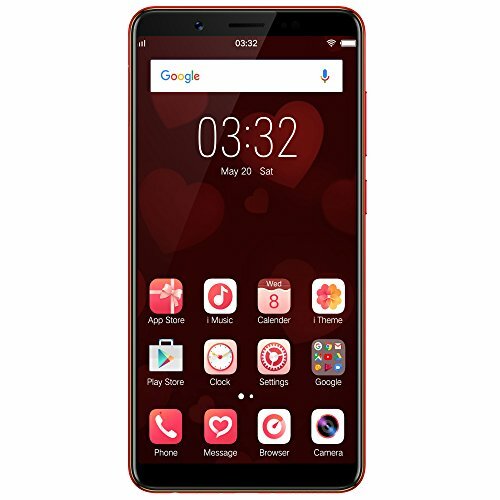 This 4G VoLTE mobile runs Funtouch OS 4.5 based on Android 8.1 Oreo mobile operating system. A 3400 mAh Li-Polymer non-removable battery powers the smartphone with fast charging due to dual engine feature. The Vivo V11 Pro features a 12 MP + 5 MP Dual rear-facing camera with f/1.8 + f/2.4 aperture and 8 MP video recording at 30 frames-per-second. It also has a 25 MP front-facing camera with f/2 aperture and 2 MP video recording at 30 frames-per-second. The camera Scene modes for the Rear are as follows: 4K Video Recording; Playback, Ultra HD, Professional Slow，Time-Lapse Photography，Camera Filter，Live，Bokeh，HDR/AI Face Beauty/Panorama, Palm capture，Gender detection，Retina Flash，AR Stickers，AI Face Shaping，Time Watermark，AI Selfie Lighting，AI Scene Recognition，Google Lens and AI Portrait Framing. On the other hand, the camera scene modes for the front include: Ultra HD，Professional，Slow，Time-Lapse Photography，Camera Filter，Live，Bokeh，HDR/AI Face Beauty/Panorama， Palm capture，Gender detection，Retina Flash，AR Stickers，AI Face Shaping，Time Watermark，AI Selfie Lighting and Google Lens. Next, it supports dual SIM slots that accept nano SIM type. In addition, it supports a Micro USB 2.0 interface with OTG support and a 3.5mm audio jack. Regarding cellular technologies, it offers GSM, 3G and 4G LTE with VoLTE support. In terms of connectivity technologies, it offers Wi-Fi 2.4 GHz/5 GHz, mobile hotspot and Bluetooth 5.0. On the sensors front, it packs sensors such as Proximity, Light, Accelerometer, Compass, Fingerprint (In-display fingerprint scanning), Gyroscope, GPS, A-GPS, GLONASS and BeiDou. Vivo India has roped in Bollywood superstar Aamir Khan for promotions and digital/TV advertising of Vivo V11 Pro.